Many mountaineers claim that they've experienced something "devilish" either on the trails or the campsites of Mt. Cristobal (or Mt. 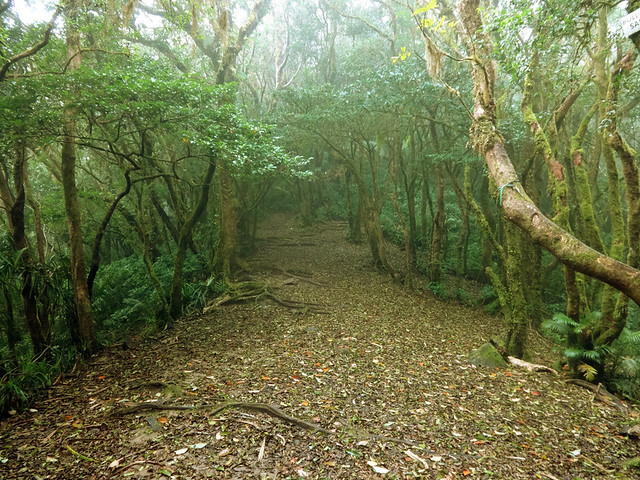 San Cristobal), hence the moniker "Devil's Mountain"... but of the three hikes I did in this mountain, ni minsan, hindi ako nakaramdam ng takot o pangamba na makakaengkwentro ko ang mga "evil spirits". To be honest, na-eexcite ako laging umakyat sa Mt. Cristobal because it has one of the most varied and interesting flora among the Tagalog mountains, comparable to Makiling and Malipunyo range. The cancelled hikes of the weekend allowed me to join Doc Gideon in their get-together training climb for their upcoming Elbrus expedition. It's an honor to be invited with his Elbrus team, lalo na't kasama si Ms. Carina Dayondon, one of the few Filipino Everest summitteers. Woohoo! With Kuya Lito as our guide, we started the trek a few meters before the Montelibano House. The concrete road which can now serve vehicles further up cuts the trekking time to at least 30 minutes. It was very cloudy, given that a storm was brewing somewhere south of Luzon. But we carried on, everyone was up for a challenge. We started to ascend the rooty and dense Dolores trail at 8 in the morning. And just like before it's tiring and nakaka-hingal. But enjoyable no doubt. 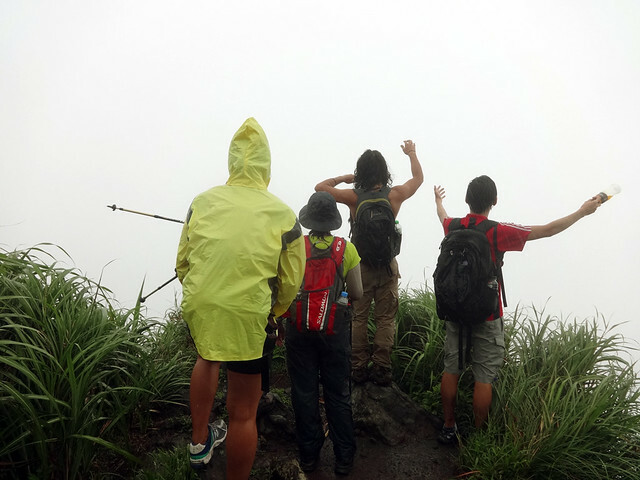 Then after 2.5 hours, we're already at the crater rim, the wind was cool, fog was all over. 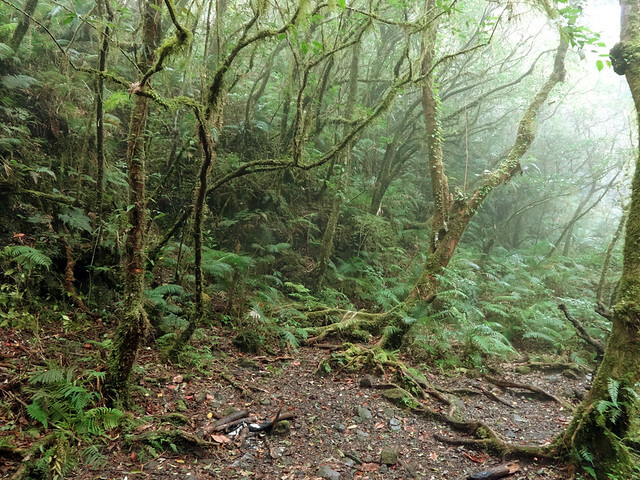 The mossy forest of Cristobal, although not thick enough to rival those of the Cordilleras and Mindanao mountains, is still considerably beautiful, mystical, and picture-perfect. 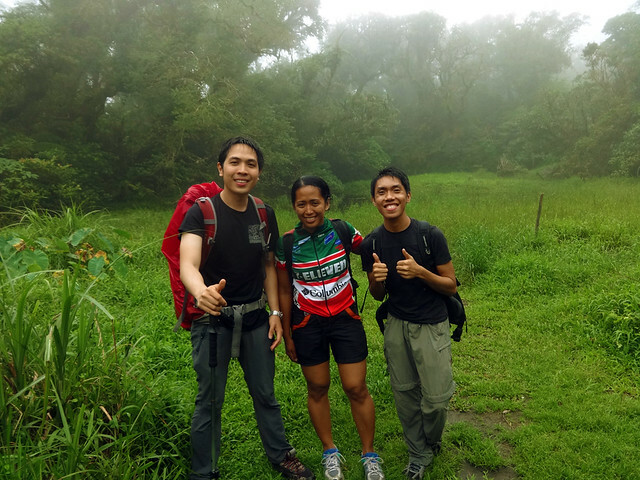 with doc Gid and ms Carina at the crater of Cristobal. Temperature really drops beyond the crater area. The wind coupled with drizzles was chilling. Soon, we reached the saddle camp and there we had eaten lunch. Sobrang lamig kaya binilisan ko lang kumain. We were, however, not granted with a view at Jones Peak. Everything was white because of the fog. Meh. plain white background at Jones Peak. 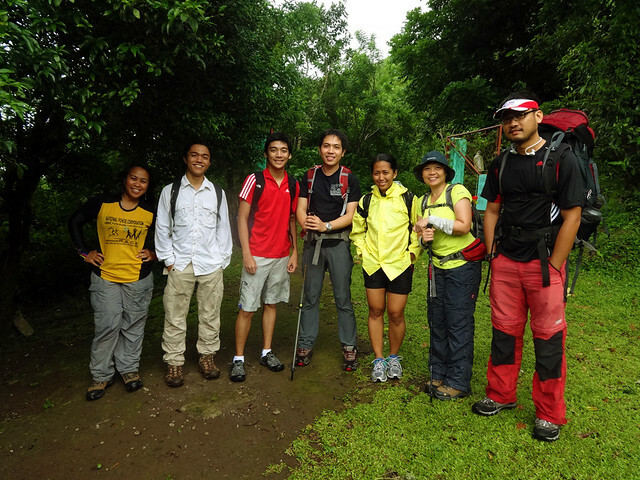 We continued down to the steep and muddy trail to Brgy. Tala. And it rained while we're descending, so of course, maraming dulas ang naganap. 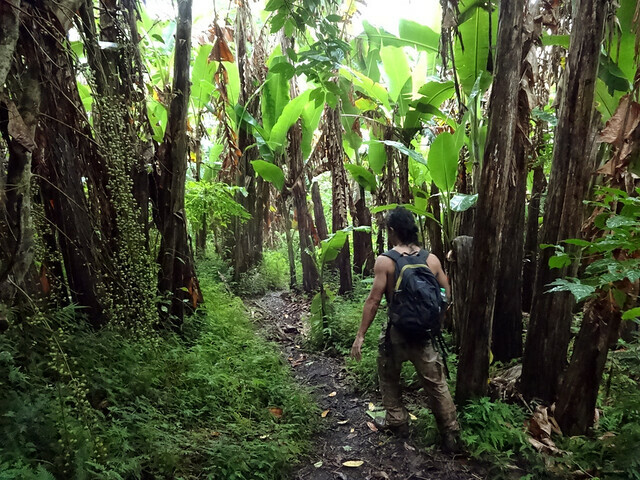 the final leg of the trek is along a muddy banana plantation. Lastly, Mt. 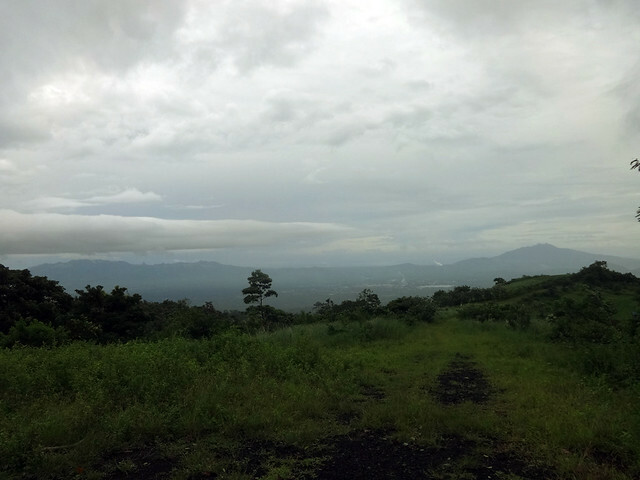 Makiling and Malipunyo range appeared on the horizon. We would've hiked Tayak Hill too since it's just in the vicinity, but our cravings to have a sumptuous meal at San Pablo City prevailed. Malipunyo Range (W) and Mt. Makiling (NW) as seen from Mt. Cristobal. Successfully hiked Mt. Cristobal for the third time but I still see no devil.